The Jewish Law Association, in conjunction with the University of Toronto’s Anne Tanenbaum Centre for Jewish Studies and York University’s Israel and Golda Koschitzky Centre for Jewish Studies, will hold a regional conference Nov. 10, 2015, at the University of Toronto. The submission deadline is Sept. 15, 2015. Proposals for papers: The Conference will focus on themes relating to the Jewish Family, broadly defined. We will accept proposals examining Jewish law and the Jewish family from historical, doctrinal, comparative or philosophical perspectives. Proposals should include the paper’s title, a short description of its contents (250 words maximum), and be accompanied by an updated C.V. Please transmit all this material to Prof. Chaim Saiman at the following e-mail address: jlatoronto2015@gmail.com no later than September 15, 2015. 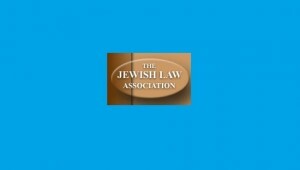 Founded in 1978, the Jewish Law Association seeks to promote study and research in Jewish Law. It provides a major interdisciplinary meeting point for scholars and practitioners in both Law and Jewish Studies. Its membership represents diverse religious, philosophical and intellectual perspectives, and is drawn from many nations.